You wouldn’t leave your best friend out in the cold now, would you? There’s no reason to, really, even if he does happen to be of the furry, canine type. That’s because things like the BarkerBag exist now. 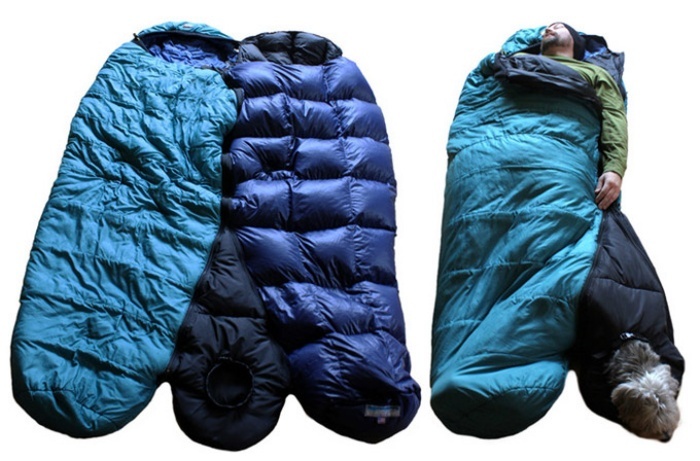 If you’re fond of taking your dog with you when you go spend some time in the great outdoors or go camping, then this pet-friendly sleeping bag might just be what you’re looking for. Aside from a sleeping compartment for you, the human, there’s an extension off to one side for your canine best friend. The extension also has a cinchable collar to keep your dog secure in place so he doesn’t run out and run off into the night. By Hazel Chua on 08/05/13 • Leave a comment! 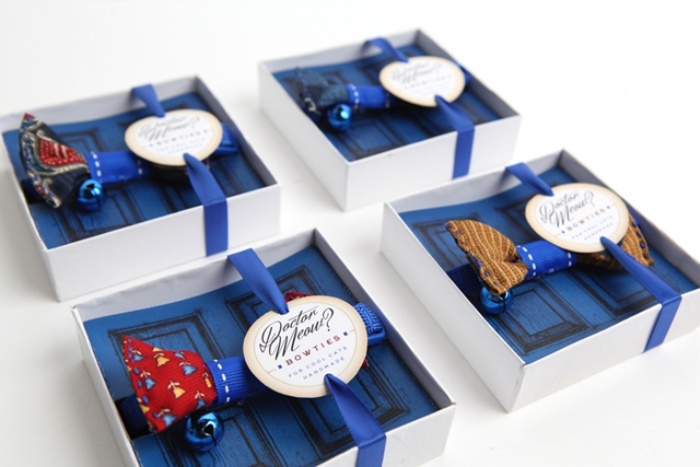 The bow tie is part of Doctor Who’s signature outfit. He always dresses so sharply and his dapper look isn’t complete without that distinct bow tie. Now your cat can share that same look, thanks to the advent of Doctor Meow. These are tiny, elastic bow ties in various colors featuring a variety of patterns that fit most felines. They were created by print designer Crystal Dennis from the Real Art creative studio. Crystal explained that she got the inspiration for the bow ties from the hit show. Question for artist: Does your product have a fun story behind it? If so, what is it? Answer: The 11th Doctor Who is a bowtie-wearing Time Lord from Gallifrey. If he’s getting flack on his style choices he’s like, “What? Bowties are cool!” (…or a Stetson, or a fez). By Hazel Chua on 06/10/13 • Leave a comment! 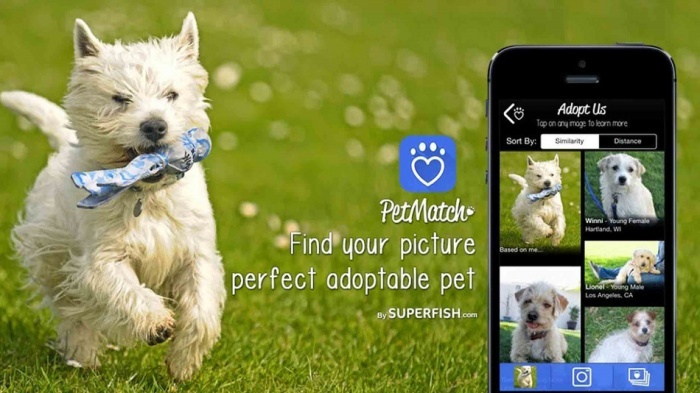 Got a pet turtle? Love Bowser (or at least the franchise that he’s a part of)? Then you’ll find these crocheted turtle wear by Squirrel Picnic uber-adorable. 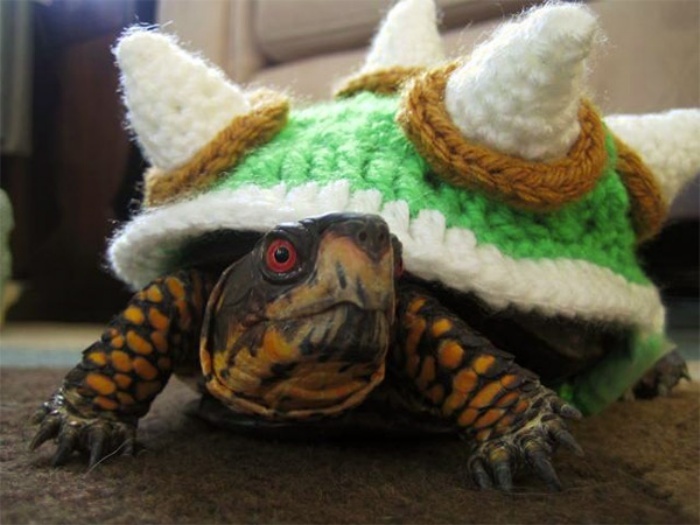 The talented Jennifer is behind the unique handmade creations on the site, and she chose to crochet this Bowser sweater that fits your average turtle after receiving a challenge on her blog.